Description: myNotebook allows you to take notes wherever you are. Just pop open your Nintendo DSi™ system and jot down your thoughts. Make a list and cross it off, or even play your favorite pen-and-paper games (games not included). You can even personalize your notebook by drawing on the cover and changing the paper type with 24 unlockable squared and lined paper styles. Use the pen or pencil to make notes or doodles, and then erase the bits you don't like. With five ink colors, you'll always be able to make your notes and doodles look stylish. myNotebook also includes 128 pages to write on and the ability to export your pages to your Nintendo DSi Photo Album. And wtf, this is week three without a virtual console title is it not? No, he means the WEAK of August 16th. Probably not until October on WiiWare. And Divergent Shift is that game that used to be called Reflections. It was like a class project or something and one of the people who worked on it posted on IGN. What makes you think October? Have the developers said anything? Both of the WiiWare games sound pretty interesting at least. I wish I knew exactly what genre Space Trek was though. Meat Boy is coming to XBLA first, I think. And in a superior fashion, with online multiplayer. Oh, yeah. That sounded pretty cool. Yep, which is one of the reasons that I don't have much interest in it right now. Fixed the thread title. Thanks, @DrFinkelstein. 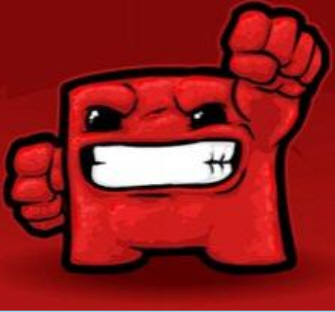 Meat Boy is coming to XBLA presumably sometime in September, and it'll come to WiiWare and PC a month later. The Wii version has everything they originally intended to put in it, but the XBLA version has online leaderboards and a few extra songs. And achievements of course. My only worry about the XBLA version is how well it'll control with an analog stick vs. a d-pad, but according to Edmund they spent two months perfecting the controls before they even starting making levels for the game. I think I'll get the XBLA demo and see how it feels.